Dr. Anita Johnston: What I love about this is it’s really taking the idea that your struggles with eating and weight are not just about food and your body, but there’s something way bigger going on, way more complex, and in my mind, way more interesting. And understanding this is really the path out. So, what you are saying is that — if you’re wanting to move your body, and then you sit down and instead grab the remote for the TV — there’s a reason for this..
Dr. Anita Johnston: And a very good reason. Dr. Anita Johnston: How about the “should”? Francie White: Right. It’s the power of the feminine soul, the unconscious factions, the collective consciousness within women that is in an uproar right now with regard to diet and exercise and body image, because we can think we want one thing on the outside, and it’s what the culture tells us is right and good, and then we find ourselves headlong into either rebellious overeating or somehow just being cut off from our very natural, instinctive drive to move our bodies. Dr. Anita Johnston: How about this, the idea that there’s nothing wrong with you? You’re not damaged or broken in some way if you can’t stick to your exercise regime, but that there are other forces at work in your psyche that are worth finding out about. Dr. Anita Johnston: That’s where it gets really exciting and actually even fun. Francie White: Yep, and going inside through the process of the transformation from exercise resistance to an embodied relationship to movement is an exciting, incredibly worthwhile journey that people can do in the privacy of their own homes, in groups, in support groups, in workshops, with therapists, you know, indefinitely. That’s what we’re going to be talking more about. 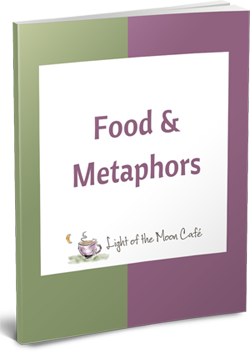 Dr. Anita Johnston: So join us at the Light of the Moon Café, where we go even deeper into understanding what this is and what’s underneath that resistance or that avoidance of claiming your birthright, which is to move your body in joy. Thank you, Francie, for joining us, and we hope to see you next time.